If plant-based antioxidants like vitamin C and vitamin E can block the formation of nitrosamines, why don’t the bacon manufacturers of the world just add some vitamin C to their meat? They do. In fact, by law, in the United States, bacon has to have antioxidants like vitamin C added to it, to cut down on nitrosamine production. So, what’s the problem? The vitamin C does not work in the presence of fat. In fact, it looks like it actually makes meat more carcinogenic, if you can believe it. In the presence of phytonutrients such as vitamin C, nitrosamine production drops as much as a thousandfold, or is completely blocked. In contrast, in the presence of fat, vitamin C has the opposite effect, increasing nitrosamine production 8–fold, 60-fold, 140-fold even. Instead of neutralizing the risk of nitrites, adding vitamin C to meat may make it worse. The presence of fat converts vitamin C from inhibiting to promoting acid nitrosamine production—for this kind of complicated reason, which you can read about. So when meat industry commentators exclaim: “Pork is good for you. Animal fat is food for you. Cured meats assist the human body with cardiovascular health,” they don’t know what they’re talking about. The natural source of nitrites are from the nitrates in vegetables, which have the phytonutrients, without the fat that Jekyll-and-Hydes them. The bottom line? Our body wasn’t designed to get its vegetables in the form of bacon. Combet E, Paterson S, Iijima K, Winter J, Mullen W, Crozier A, Preston T, McColl KE. Fat transforms ascorbic acid from inhibiting to promoting acid-catalysed N-nitrosation. Gut. 2007 Dec;56(12):1678-84. Epub 2007 Sep 4. Mirvish SS. Effects of vitamins C and E on N-nitroso compound formation, carcinogenesis, and cancer. Cancer. 1986 Oct 15;58(8 Suppl):1842-50. If you haven’t seen it, or need to brush up, the carcinogen-blocking effect of phytonutrients to which I refer was covered in Prevention Is Better Than Cured Meat. And for more on crazy things food industries say, check out Heart Attacks and Cholesterol: Agribusiness Sees It Differently; Egg Industry Blind Spot; Dietary Guidelines: Corporate Guidance; Dietary Guidelines: Pushback From the Sugar, Salt and Meat Industries; and Is Pomegranate Juice That Wonderful? This is the second to last video in my three-week series that started with Doping With Beet Juice, and ends with So Should We Drink Beet Juice or Not? Thanks for sticking it out with me! For further context, also check out my associated blog post: Using Greens to Improve Athletic Performance. If you haven’t seen it, or need to brush up, the carcinogen-blocking effect of phytonutrients to which I refer was covered three days ago in Prevention Is Better Than Cured Meat. And for more on crazy things food industries say, check out Heart Attacks and Cholesterol Agribusiness Sees It Differently, Egg Industry Blind Spot, Dietary Guidelines: Corporate Guidance, Dietary Guidelines: Pushback From the Sugar, Salt and Meat Industries and Is Pomegranate Juice That Wonderful?. This video is the second to last video in my 3-week series that started with Doping With Beet Juice and will end tomorrow with a video entitled “So should we drink beet juice or not?” Thanks for sticking it out with me! Now you just have another 1500 or so other topics to enjoy. Is it just animal fat that inhibits the protective Vitamin C, or does cooking high-nitrate veggies with oils or eating them with nuts, avocado, etc. cause the same problem? It’s easy to get confused between nitrites and nitrates (and all the more confusing, probably, seeing only 2 minutes or so of the story every day)! If, however, you go back and watch this series through, you’ll note that it’s the nitrites (with an “i”) that turn into carcinogens (a process that is blocked by phytonutrients in the absence of fat). Nitrites enter your body two ways, through processed meats directly when you eat them (and so the fat in the meat undermines any phytonutrients added to the meat) or hours after you eat a meal of high nitrate (with an “a”) vegetables through bacterial action on your tongue (again it might be good to go back and review). So we need fat to maximize our absorption of the carotenoids in greens (so add some nuts or seeds to your salad) but then hours later once the nitrates make it back into the mouth and produce nitrites, that’s when we should have no fat in our stomach. How can one ever time these digestive steps so accurately to ensure that there is “no fat in our stomach” when “the nitrates make it back into the mouth and produce nitrites”? Are you implying that after a meal containing nitrate rich plant products that we estimate the time it takes to reach our mouth and then never consume any fat at that time? This all sounds very difficult and prone to error! Ahhh. I just reviewed the video “Priming the Proton Pump”. The key is the fact that the bacteria on our tongues do not convert the nitrates into nitrites while we are initially chewing our nitrate-srich green leafies. Our bodies put the nitrates back into our mouths via our saliva later on hours post-mealtime! THAT’s when the nitrates get converted into nitrites, reabsorbed when we swallow our spit, and THEN converted into nitric oxide!! Now I can see that medications that cause “dry mouth” are affecting more than our oral health! Now it makes even more sense when Dr Fuhrman says not to snack on nuts between meals, but to eat them with meals, beyond initial nutrient absorption enhancement. That way there won’t be any fats in your stomach when the nitrates make there 2nd appearance. 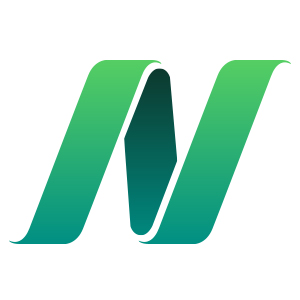 MacSmiley: Thanks for this comment. Just the other day, someone was telling me that Dr Fuhrman says what you wrote right here. I didn’t say anything in response to this person, but I didn’t think much of the idea. It sounded kind of silly to me. But you pulled the ideas together. I’m not familiar with Dr. Fuhrman’s particular teachings. I have just heard the name often and had no idea why he would say such a thing. Dr Fuhrman is a colleague of Dr Greger. He is a board-certified family physician and author of several books, including Eat to Live, Eat for Health, and most recently, Super Immunity. His rationale for eating 3 large meals a day with no between meal snacks has more to do with breaking our great American constant-face-stuffing food addiction, the anabolic/catabolic digestion cycle, as well as recommending nuts/seeds/avocado be eaten WITH meals for greater nutrient absorption. What I meant to say is that this new information from Dr. Greger is just one more reason for me to stick to Dr Fuhrman’s commonsense Eat to Live recommendations. Is it just me or is everyone else also getting a “Not Found” message when thr back up to watch older videos? I was able to view Priming the Proton Pump on the YouTube backup. Thanks Dr. Greger for this explanation. It helps a lot to get rid of the confusion! Now that So Should We Drink Beet Juice or Not? is posted I’m hoping that will help too! You can see why I had to make so many videos about it! I’m fascinated by this stuff. And it is just one more important piece of information in that big picture of what it means to eat healthy. For what it is worth, here is some of my thoughts right now: I was thinking about the issue of “three hours later, best not to have fat in your tummy”. I tend to eat about every three hours or so throughout the day. So, perhaps I need to have my arugula salad as my last meal of the day? But if my nitrate/nitrite loading is at the end of the day, would I get any exercise-assistance benefits the next day? I’m not all that found of beets or arugula. So, I kind of want all the benefit I can get if I’m going to try to eat them. I’m not sure I remember the videos enough to say, but I’m guessing that I would miss out on the energy boost. So, then it would be matter of being thoughtful about when to have the arugula salad. Maybe I should have it in the morning (which would be very difficult for me since I’m now stuck on my yummy chocolate-banana oatmeal for breakfast) and just make sure that my mid-morning snacks and lunch are fat-free. Just thinking about things. It’s a lot to think about. I really appreciate the info. Although indeed all foods contain fat, perhaps if you ate a low fat meal 3 hours after consumption of nitrates you would be better off. I tend to eat large meals and stay full for long periods of time. I do snack on fruits though through out the day. I’m more of an all-day grazer myself. Though I found that the oatmeal happily keeps me pretty full for quite a while most days. How about the protective phytonutrients then? Aren’t they also gone hours later? Do you recall that our stomach actively releases vitamin C to deal with this issue? I’m not very good at timing when I eat fats vs.
study cited in this video has since published two more studies. acids (found in many plants) and caffeic acids (found in all plants) “markedly inhibited nitrosation”. of the test tube. E. Combet has followed up with two published studies in 2010.
in the stomach, where the gastric acid meets a range of dietary fats”. just recently discovered it and find myself very busy taking lots of notes! So, we want this cool process from our arugula and yet by adding the fat it could create the carcinogens? What am I not understanding? Please see my response to MacSmiley above, Thea. -what quantity to take it. Is it just me or is everyone else also getting a “Not Found” message when they try to back up to watch older videos? I’m not very good at timing when I eat fats vs. veggies. And I wondered if there was much fat timing in all the prior studies out there where the higher intake of fruits and vegetables (traditional Mediterranean diet, DASH diet) were associated with healthy benefits. Having chronic health issues I am familiar with PubMed, the online source of studies, and so went there to see if I could find some additional information. It turns out that the lead author for the study cited in this video has since published two more studies. One study indicates that the type of fat the nitrates encounter affects the outcome. Unsaturated fats actually act as scavengers of some nitrosating species. His other study found that different types of acids present in plants have different effects on nitrosation. As noted in the video, vitamin C promotes nitrosation. But ferulic acids (found in many plants) and caffeic acids (found in all plants) “markedly inhibited nitrosation”. The other E. Combet study is at http://www.ncbi.nlm.nih.gov/pubmed?term=20026204 PubMed ID 20026204. 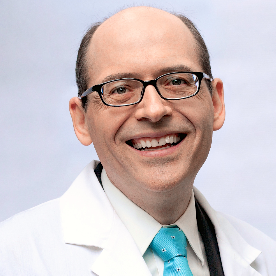 Thank you Dr. Greger for your fascinating web site. I have just recently discovered it and find myself very busy taking lots of notes! what does the botton line means? I’m confused. If you are having an arugula salad or having grated beets on your salad, is it safe to have something containing fat such as avocados or walnuts at the same time? Ok so I read the rest of the discussion, and I have to say, this whole concept seems totally counterintuitive to me. So eat some beefs or greens and they can either be great for your heart or carcinogenic, depending on whether you remember not to eat some nuts or avocados 3 hours later? There is something wrong here. I don’t believe “nature” would make nutrition this confusing – something you have to figure out via scientific analysis. Primitive people could never have known this. Primitive people didn’t eat meat with chemical additives. Also they didn’t eat meat all the time. Skip the bacon, nothing to confuse.